The corner of Founders Pkwy & Trail Boss Dr.
Our credit union (CU) was formed by eight school teachers who pooled their funds in 1934 to be able to make loans to other teachers. These visionary leaders created DPS CU, a not-for-profit financial cooperative, owned and controlled by the members who use its services. Its purpose was to put the members first when offering financial services and treat them as valued owners. Today, the credit union remains focused on that same mission and purpose. 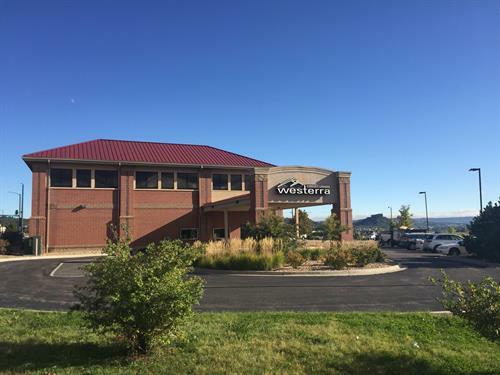 The credit union’s name was changed to Westerra Credit Union in 2006 to better reflect its growing and diverse membership. DPS CU and Safeway Rocky Mountain CU merged in 2005, followed by the merger of Gateway CU in 2006, Jeffco CU in 2009 and the Sheet Metal Workers #9 CU in 2013. Each credit union brought a shared commitment to meeting members’ needs—and a strong local heritage. In 1951, the Safeway Rocky Mountain CU was chartered to serve employees of Safeway. In the same year, Gateway CU was chartered to serve Lowry Air Force Base. 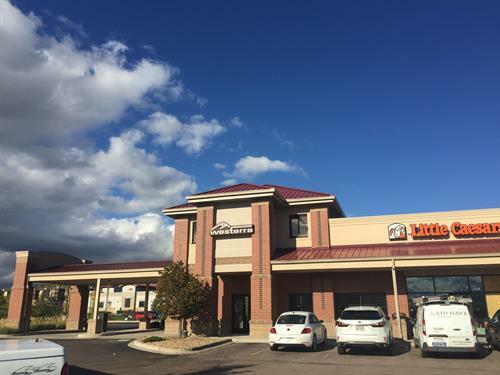 With the closure of Lowry, the credit union expanded to also serve the City of Aurora. Jeffco CU was formed in 1948 to serve the Jefferson County school employees’ community. Over the years, each credit union grew exponentially. Today, Westerra Credit Union ranks among the top 150 credit unions in the US. Membership is open to those who live or work in Adams, Arapahoe, Boulder, Broomfield, Denver, Douglas or Jefferson county, Colorado; City of Aurora; assets exceed $1.4 bn, with over 110,000 members.